Industrial Outdoor Kitchen & Living Area » Industrial Outdoor Fire Pit Water Feature with LED Lighting. This was a Leasure Concepts design that we built in house. 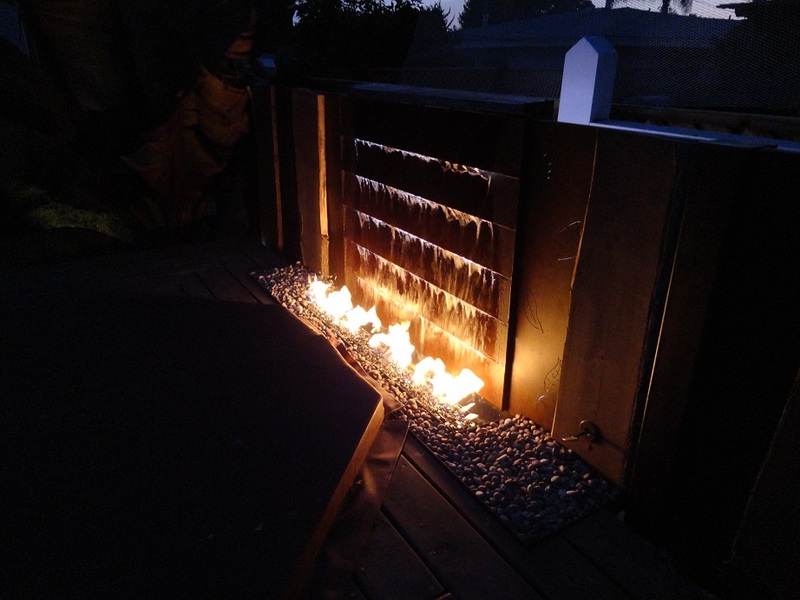 Water flows from a custom trough down rusted steel panels back lite with LED lights. The water flows behind the custom fire burner and pan. This feature turned out great! This entry was posted on Saturday, November 2nd, 2013 at 7:25 pm. It is filed under . You can follow any responses to this entry through the RSS 2.0 feed. You can leave a response or trackback from your own site.